Have you gone through life’s tough experiences and come out the other end with wisdom to share? My friend Peggy has gone through chemical injury, breast cancer, broken bones and more. And she’s learned methods of coping, plus inspiration to help others as well. So, she’s starting to write. You may have a story to tell as well, and it’s cathartic (which can be good) to get your words out. Creativity is linked to the second or sacral chakra, which gets strengthened as you flow with the inspiration in your life. As you shout out your message to the world, even on paper, you’ll also be strengthening your throat chakra, which is linked to speaking your truth. Harris and I are both writing our new books, in a month!, using the program NOVEL IN A MONTH. So, how should you start? TITLE: Give your work a name, or something that can reference your project. GENRE: Be flexible as this may change as the plotline and characters and your thoughts morph and develop. List all of the genres that your story might fit into. POINT of VIEW: Will it change from scene to scene or will the main character narrate in first person throughout? An author friend of mine said that when she began her autobiographical “coming of age” novel that her original intention was to have the first-person voice change as her character grew and matured. However as she drove further and further into the hinterlands of her work, she realized how maintaining that direction complicated her writing and de-railed it from flowing freely from her consciousness. For example, she would have to ensure that her teenager was not speaking with the voice of a worldly and wise, middle-aged maven or vice versa. Some authors choose voice from scene to scene by weighing what character stands the most to lose. Although unless skillfully written, this approach can leave a reader wondering what is going on and especially, who is talking. WHO wants, WHAT do they want, WHY do they want it and What/who stands in your character’s way? Not sure where to begin? SETTING: Can make a story gel into a dish fit for the Queen or alternatively turn it into cold tasteless soup that even hungry flies shun. Of course, there are endless possibilities. You can create memorable characters as at home in the book’s setting as a well worn slipper, but who enliven it and blaze brightly at the slightest provocation. Perhaps others triumph despite all odds or seemingly invincible villains meet their match in a unforeseen avalanche of choices that could not have been forecast. HOOK/SPARK: Yeah, the night was dark and stormy and she came to the door with nothing on but the radio, but then what? 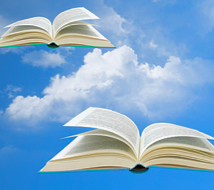 What will I write in the second paragraph and on page 87 that will keep my reader into the book? Will the last sip of my book be as satisfying as the first, or even more so? As an author I must constantly ask – have I set-up conflict, created suspense and action and left the reader panting for more? Am I solving a problem the reader has, conveying knowledge or fulfilling a need? If you want to join me in the challenge of writing a book in a month, try the program along with me…. For help with your book, see www.IndieAuthorCounsel.com. Do you want your story to inspire people around the world? Visit Lulu.com to find the best publishing option to help you reach your desired audience. 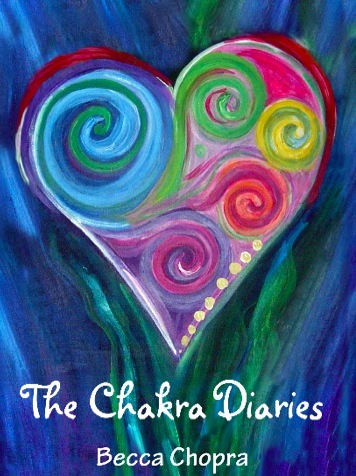 I spent three years writing my first novel, The Chakra Diaries. Then, a full year on the sequel, Chakra Secrets, which I can happily say is now finished and on the way to the editor. 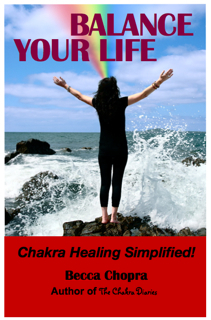 Now, I’m ready to write the book my students and readers around the world have asked for – Chakra Healing Simplified. I have the title ready, Balance Your Life, and my enormous pile of information at the ready. I want this book written quickly. So, I decided to jump into a new way of writing for me – an organized routine and structure for writing. I was introduced to this program, NOVEL IN A MONTH, when joining Indie Author Counsel, and I’m going to see if the system works to use both my left and right brain to complete my self-help guide. Now, are YOU ready to write as well? Laptop at the ready, a rough story outine lying pent-up, cramped into the folds of your brain, awaiting glorious release through your fingertips? Anton Chekhov suggested that every sentence should spend two days in the brain, lying perfectly still and putting on weight. But using that principle, your work might be completed by the time you are 98 years old. I’ll be posting my progress as I move through my outline this week. If you try the program or have other writing advice, please share your comments as well.